Soon, “multiple personality disorder,” or MPD, became an officially recognized diagnosis, and a handful of cases exploded into 40,000 reported sufferers, nearly all of them female. The repressed-memory industry was born. 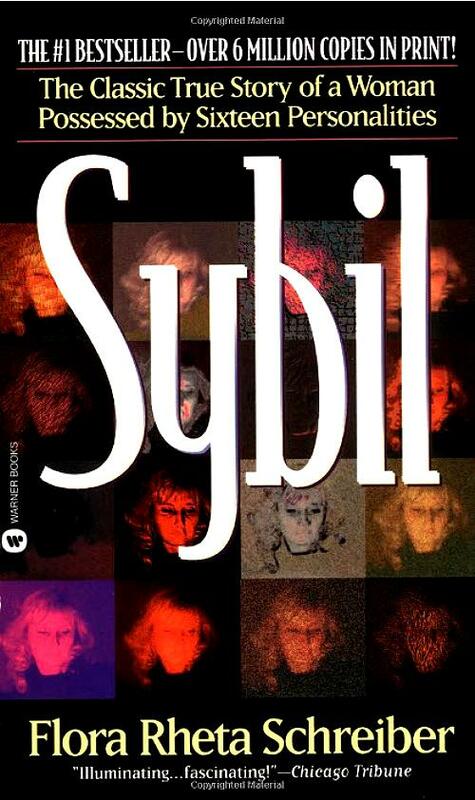 Only in the last decade or so has the psychiatric profession begun to question the validity of Sybilmania. Along with the diagnosis came accusations of abuse by family members and others—sometimes leading to convictions and prison time—that supposedly led to the creation of alternative personalities ["alters"] created to dissociate from those horrible [and false] memories. Mason, like so many patients diagnosed with multiple personality disorder (now rechristened “dissociative identity disorder,” in part to shake the bad rep of MPD), improved markedly under certain conditions — namely, the absence of her therapist. For several years after her therapy concluded, she lived happily as an art teacher at a community college, even owning her own house. But the publication of Sybil destroyed that life; Schreiber, who had invented so much of her biography, had so thinly disguised other details that many acquaintances recognized her. Too self-conscious to endure this exposure, Mason fled back to Wilbur and lived out the rest of her life as a sort of beloved retainer, cooking her doctor breakfast and dinner every day and nursing her on her deathbed. Revised at 5:00 pm to include the quotation from the New York Post.